You might think a vehicle given the minicar designation wouldn't have much to offer the average driver, but the 2018 Chevrolet Spark proves good things do come in small packages. As a big-city commuter, the Spark offers comfort, safety and economy at a rock-bottom price, plus unexpected features like Apple CarPlay, a Wi-Fi hotspot and forward-collision alert. I love my car. - I love to have maps on while talking to my family on the phone. I own a brand new 2018 Chevy spark! I love that it is small and really easy to drive on the road. I find the back camera helpful, although I am still trying to get used to it. The camera is clear and very accurate. My favorite feature has got to be the screen. I love to just plug in my phone and put my own music on and have maps on. I love that it can read aloud my new messages and listens and types what I say back. I just love the design of the chairs. They're so cute, I feel that it adds more character, because it looks fun; it is not just a plain black or grey. I also love the hatchback! It is amazing, there’s surprisingly a lot of room in the back. I was able to take my sisters and my suitcases inside of that car for a week long cruise. You can hook your phone up to the car for hands free device for calling. My car is just a standard, nothing special. But I love the Bluetooth connection service it gives you and I think it adds a nice touch that the windows are not automatic. Kind of unique if you ask me. It is not meant for the acceleration. But it fits in every parking spot imaginable. And it definitely is my kind of car. I like that the spark has a rear view camera, great for parallel parking. I really enjoy my spark, but I think the reason I like it so much is because it is just me. I have no kids and it is a bit of a small car so I think if you are single and a college student it is a great and economical way to get around. It does not have much horsepower unfortunately, but it is a great city car. 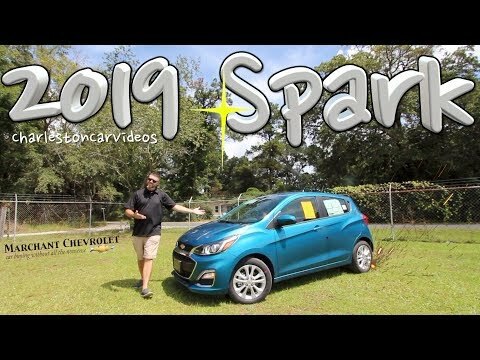 2018 Chevy Spark Is The Perfect College Car!! !